Dr. Sam Totman earned his Doctor of Education (2018) and a Master of Divinity in Christian Education from Southeastern Baptist Theological Seminary (2005) and a Bachelor of Arts in Christian Studies from North Greenville University (1997). His doctoral research was on the Preparedness and Self-Efficacy Perspectives of Youth Ministers Regarding Technology Integration into Ministry. 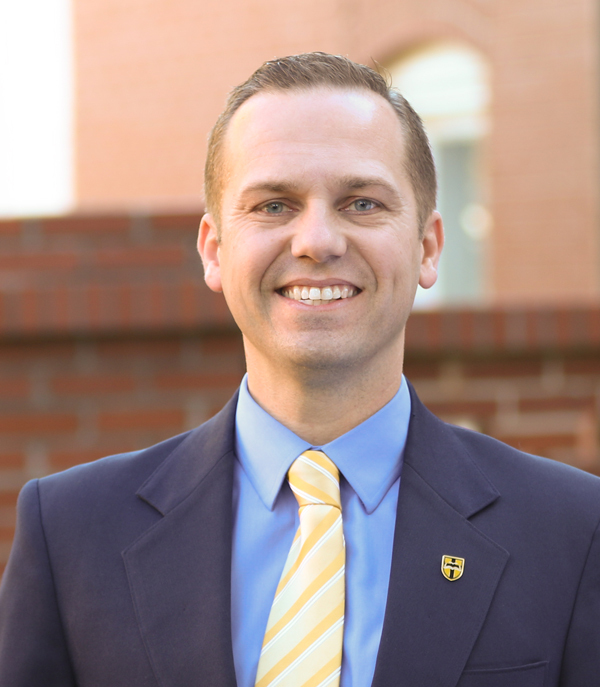 Prior to joining the Clamp Divinity School of Christian Ministry and the Christian Studies faculty at Anderson University, Dr. Totman served as a Centrifuge leader (Union University and North Greenville University), Pastor of Students and Education at Flat Springs Baptist Church (NC), Ministry Associate at Fellowship Community Church (SC), and the Youth Pastor at East Pickens Baptist Church (SC). He grew up in a family-owned sign company developing skills in design and marketing. After graduating from Southeastern, he started a successful internet business which allowed him to serve as a minister at a local church plant. Since 2011, Sam has served as the Director of External Relations for the College of Christian Studies and Clamp Divinity School. Sam still enjoys filling in for youth pastors and speaking at youth events and special occasions. Sam is married to Amanda and they have three children.